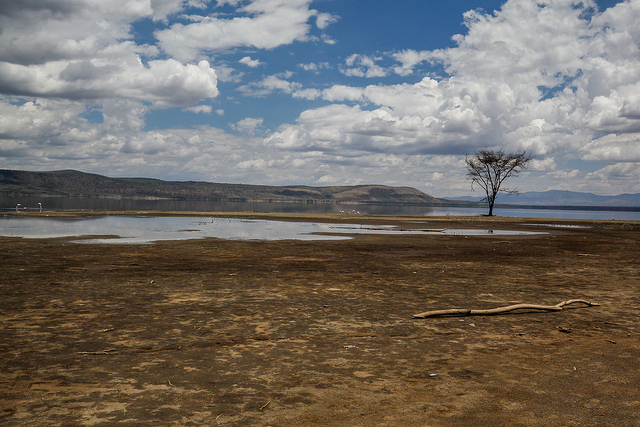 Lake Naivasha is a shallow freshwater lake located about 100km from Nairobi, Kenya. It is home to diverse array of resident and migratory bird species, as well as large mammals like hippo, buffalo, and waterbuck. If you want to experience beautiful scenery, and a variety of flora, I highly recommend it. Enjoy the photos! 1: Two mother olive baboons embrace their adorable babies. 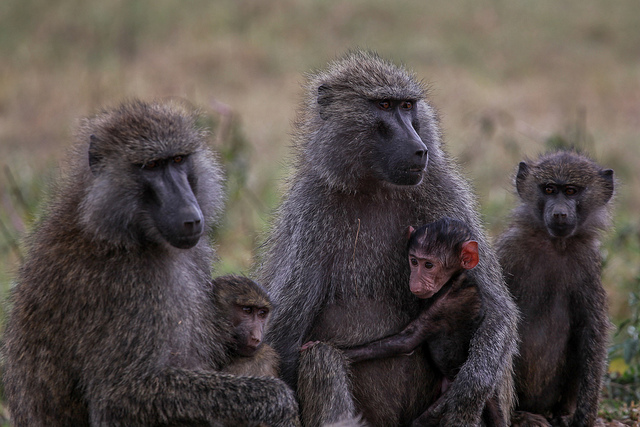 A troop of baboons can get quite large, with up to 150 or more members. To the local human population, they are often considered pests. 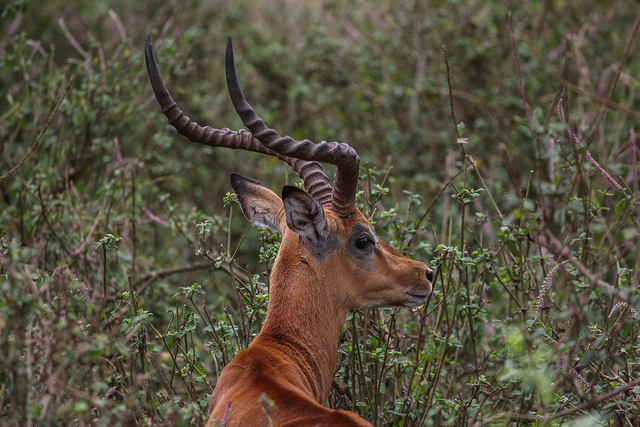 2: A male impala with its characteristic horns. Impalas are known to jump up to 3 meters over obstacles while trying to escape prey animals such as cheetahs. 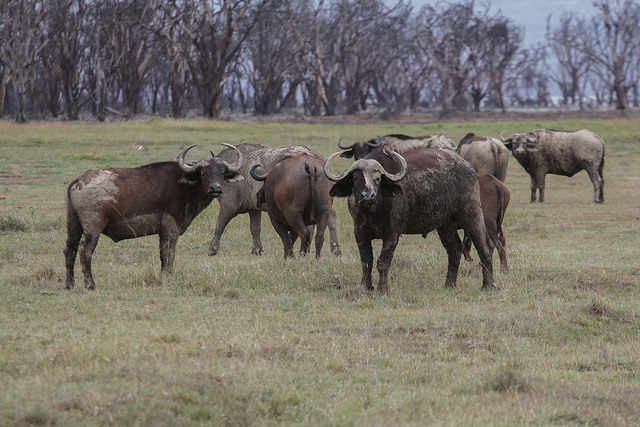 3: These African or Cape buffalo are coated in mud from a nearby watering hole. The mud helps remove parasites when it dries and falls off. 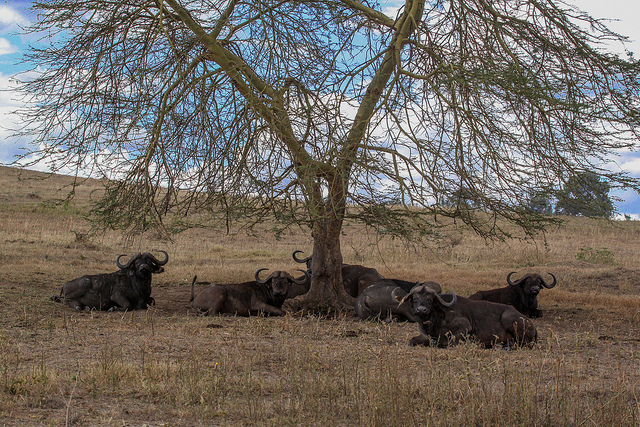 4: Another group of Cape buffalo lounge under a tree for an afternoon nap. 5: Some of the wetlands surrounding the lake. The entire area was once a much larger lake from the Pleistocene era. 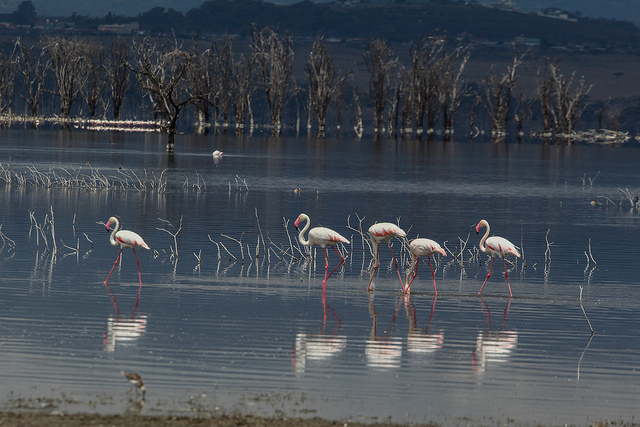 6: Lesser flamingos are numerous around the lake, with their characteristic pink features. They are one of six species of flamingo that exist. 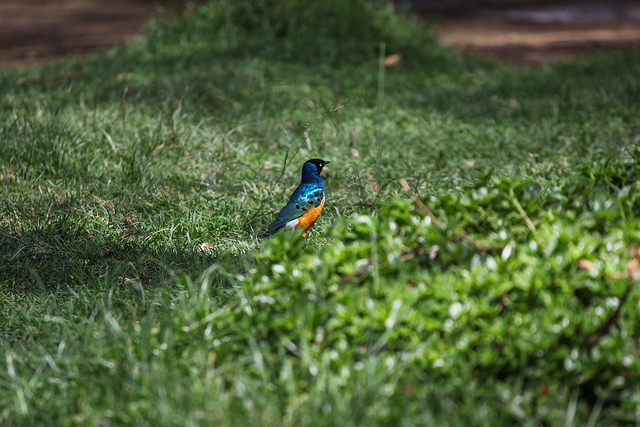 7: The plumage of this superb starling is glossy with a fantastic contrast of color. 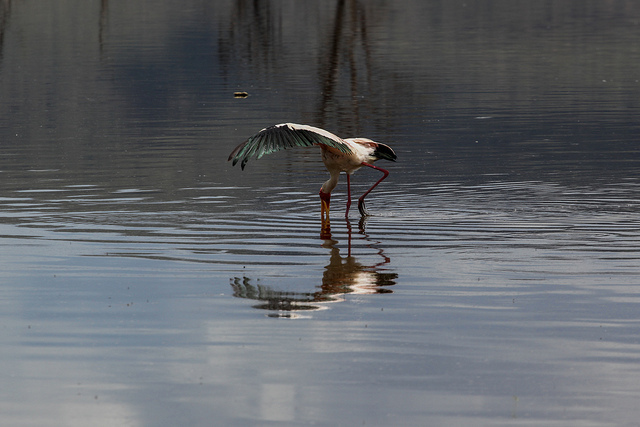 8: A yellow-billed stork searching for some food. 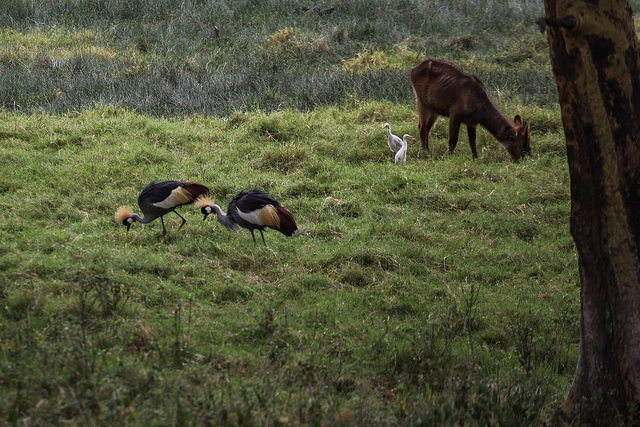 9: A pair of one of my favorite African birds, the crowned crane are in the foreground. A female waterbuck and a pair of cattle egret are in the background. It is normal to see these egret in close proximity to large mammals, waiting to feed on insects disturbed by the mammals. 10: A majestic male waterbuck watches me intently. 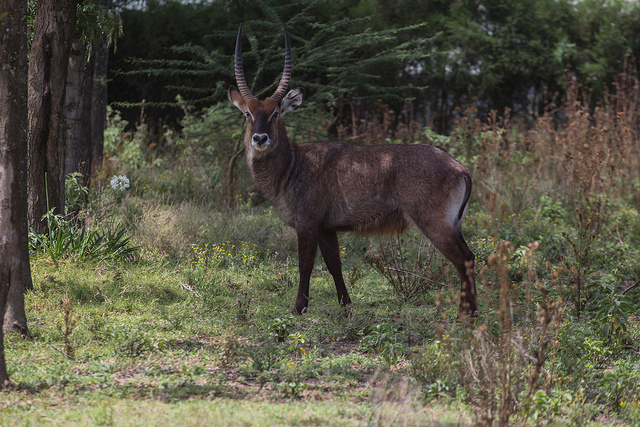 Waterbuck are a large species of African antelope, that take their name from their habitat being in close proximity to water. If you decide to visit this amazing place and need a guide, I highly recommend https://www.naturaltoursandsafaris.com. They really go above and beyond to help you with your goals.